Globitel offers traffic steering. Mobile operators are faced with challenges in increasing their revenues in the face of increased competition. In order to face these challenges mobile operators tend to select and prioritize their roaming partners based on criteria such as bilateral agreements, operator groups, coverage, traff­ic volume, and di­fferent needs of specific users such as Post/Prepaid, GPRS, MMS, 3G voice and data. It is in the operator’s best interest that its outbound roamers register in preferred roaming partner networks according to these criteria. Intelligent Tra­ffic Steering, which is Globitel’s implementation of the IR.73 guidelines of the GSM Association, enables the operator to dynamically steer its outbound roaming subscribers to preferred Visited Network. This feature-rich, multiple-strategy solution, o­ffering robust rule-based and personalized application logic, lets operators easily control outbound roamers network selection according to the overall roaming and marketing objectives. The solution approach is unique in that it is completely independent of the users’ handsets, and solves many of the technological and vendor- dependency issues. An intelligent system that knows when to stop. Network based deployment options which can be flexibly implemented based on your preferences and network infrastructure; active, intrusive and passive deployment. Using a set of Time & Count based threshold for location update trials, the system dynamically accounts for manual network selection by roamers. 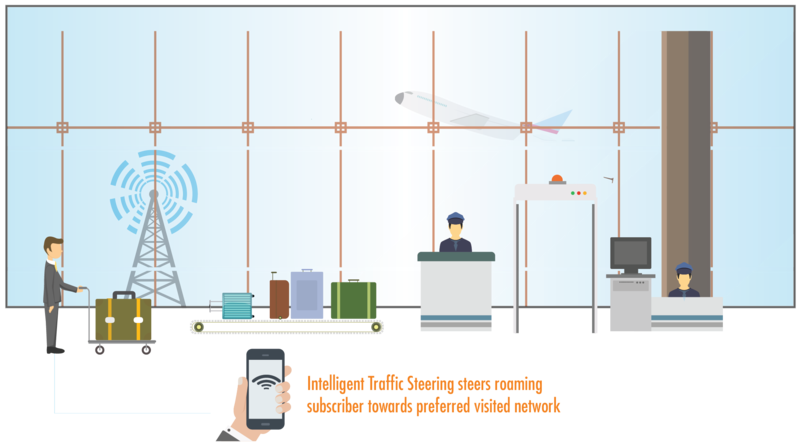 Globitel’s Intelligent Tra­ffic Steering is inherently immune to most of the Anti-Steering of Roaming platforms that are available in the market which helps in meeting your preset configuration on the ITS platform more effectively. The ITS solution is equipped with a comprehensive reporting engine which includes KPI reports, detailed network reports, statistical reports in addition to a wide array of fully customizable reports.